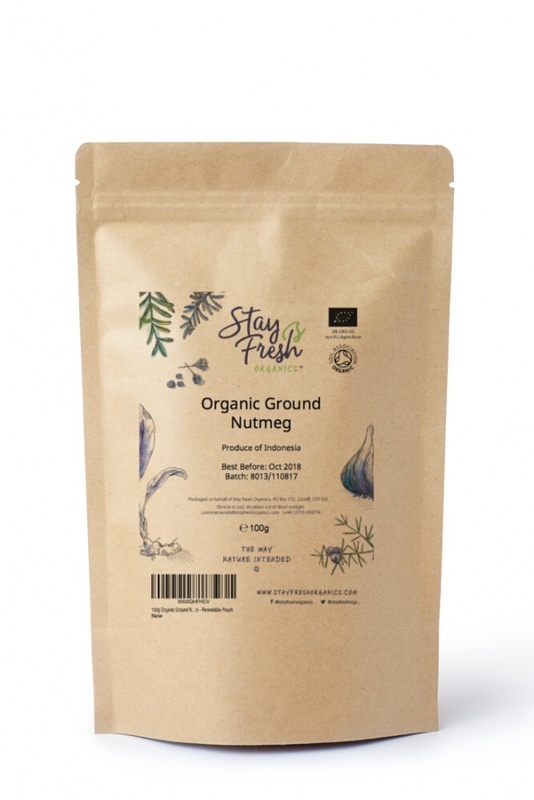 Nutmeg is one of two spices, the other being mace, derived from several species of tree in the Genus Myristica. 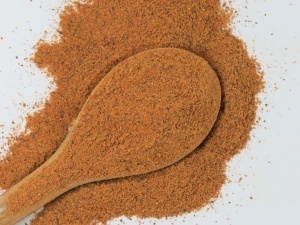 Nutmeg is the seed of the tree, roughly egg-shaped, while mace is the dried "lacy" reddish covering or aril of the seed. 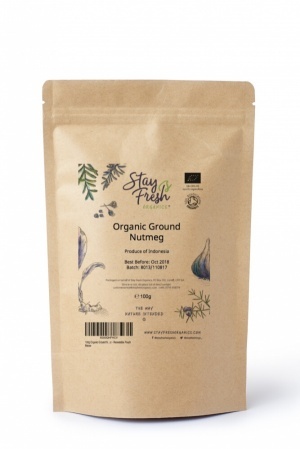 Once harvested, StayFreshOrganics' nutmeg is ground and packaged in a resealable pouch to StayFresh for longer. It has a warm, distinct, almost spicy flavour that is perfect for sweet and savory cooking. It is part of the classic béchamel sauce recipe and is used to flavour a host of cakes, puddings, and custards. Can also be used for its medicinal qualities. Energy 525kCal, Protein 5.84g, Fat 36.31g Carbohydrates 49.29g, Dietary Fibre 20.8g. Vitamins: A, C, Folates, Niacin, Pyridoxine, Riboflavin. Thiamin.